3.Q:What's your accepted payment method9 A:Our accepted payment term is T/T, 30% pre-payment by deposit ,balance before delivery. 5 Q: How do you check all the goods in the production line9 A: We have spot inspection and finished product inspection. We check the goods when they go into next step production procedure. 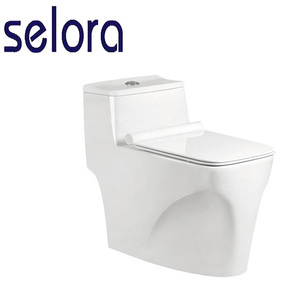 With 15 years of sanitary ware producing and exporting experience. * Q: Can I mix serveral model into one container9 A: Yes. You can select different models to load in one container. 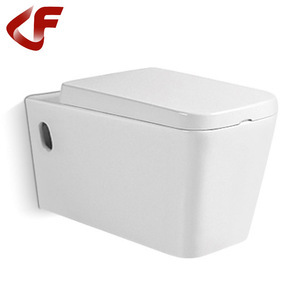 2014 newest model 9168 hot sale black ceramic toilet bowl wall mounted Size Flushing Accessary 700*400*780 Siphon : S-trap: 300/400mm P-trap: 180mm Soft closing cover Also have other color: 1.Spacial nano self-cleaning glaze, easy to clean How easy9 2.I nternal pipeline applies glaze Do you know what would happen if you got low quality product9 5. Large outlet (strong flushing) Packaging & Shipping Our usual packing Export standard 5 layers carton with customer's LOGO Loading the container Q1. Are you an trading company or factory 9 A: we are an professional factory that has 30 years' history Q2: What's Your accepted payment method9 A: our accepted payment is: T/T, 30% at advance, 70% before delivery Q. 3: can you do OME 9 A: We can produce as your LOGO or just all white OME Q4. Do you have export experience 9 A: We have been in for 4 years, our product is oppular in mid-east, European, and north Amercia because it's Grade A quality and competitive price. Q5 : Why should I choose you 9 A: We are willing to trade with you on the basis of euqal and matual benefit. 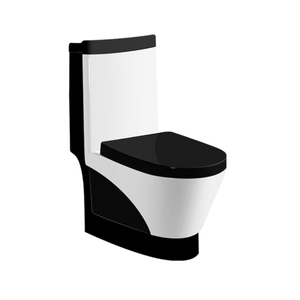 Ceramic one piece toilet with black color Item No. 5011B Place of origin Chao zhou City, Guangdong Province, China Brand name YIDA SANITARY WARE Material Ceramic, vitreous china Glazed uniform glazed,thickness&gt;0.6mm,Ra&lt;0.2um Water-absorptivity &lt; 0.2%,can keep clean after long time Color White and ivory and adjustable Temperature &gt; 1280 &deg; Packing: Carton,( standard export packing ) Customer LOGO is available and Various manners of packing is available upon reques t Productivity: 2000PCS Per Month MOQ 100sets Management certification ISO9001:2000,CE,CUPC Payment: 30% as the deposit by T/T, and the balance should be paid before loading Transportation Sea Shipment Loading port: Shenzhen port Delivery time 30 days after receiving the deposit . 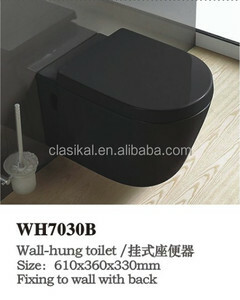 Alibaba.com offers 2,087 black toilet bowl products. About 43% of these are bathroom sinks, 23% are toilets, and 1% are toilet bowls. 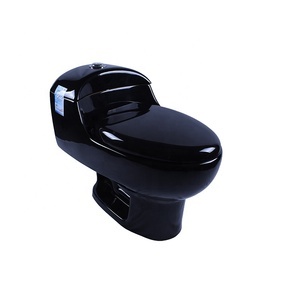 A wide variety of black toilet bowl options are available to you, such as automatic operation, dual-flush, and concealed tank. You can also choose from floor mounted, wall mounted. As well as from p-trap, s-trap. And whether black toilet bowl is siphon flushing, or gravity flushing. 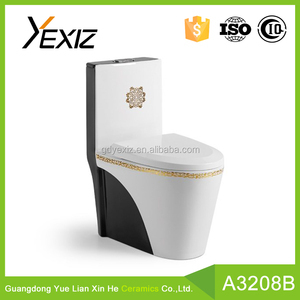 There are 2,087 black toilet bowl suppliers, mainly located in Asia. 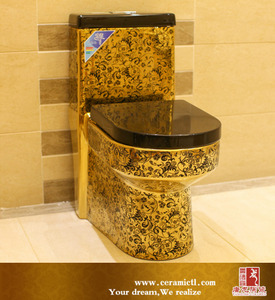 The top supplying country is China (Mainland), which supply 100% of black toilet bowl respectively. 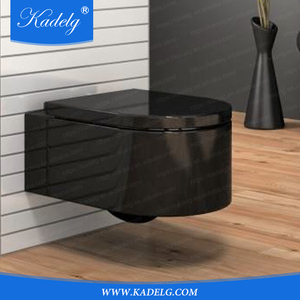 Black toilet bowl products are most popular in Mid East, North America, and Western Europe. You can ensure product safety by selecting from certified suppliers, including 460 with ISO9001, 140 with Other, and 74 with ISO14001 certification.